When I can write poems? If he has to find a square base. You can do both, can’t you? Each speaks in its own time! Doing what we must while dreaming of what we want, a classic and eternal conflict. I am always amazed by your perspective on things and how well you convey it. No math needed, poetry is awesome! And isn’t all creation a numbers game? 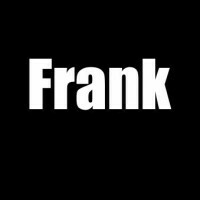 Great one Frank. I think our brains have the capability of doing both mechanical, analytical and aesthetical actions 💛 so you must pursue both! Poems will keep you sane and math will keep your brain sharp!!! How about, instead of solving your problems, you can write about them? Why don’t you write the poems and then do the maths. If that is one of your passions. guy who sees pictures in maths and is a fantastic musician. Can a poem be written without the math? Math is often the silent worker. From classical to quantum, it’s been a peom. When 1s and 0s refuse to sum and dance, it’s a poem. I can’t see any reason to do maths when poems are available. Leave the maths to the musician. Oh and Fibonacci. Act I. If music be the food of love play on. . .
Omfg yes please. I wish I could write music… tis but a dream, but a dream. Heresy! I mean… here, I say! I concur! Therefore use any sigellium to scrive your work. Numerals, ligatures, symbolic gestures. Stretch our your fingers for your hands need to keep limber. That’s a good one. So good. Hard to decide considering they’re both a form of poetry.